This kit converts a computer power supply into a benchtop supply without requiring you to modify (or destroy!) your ATX unit. A power resistor to put a minimum load on the supply. This prevents older supplies from going into power-save mode and turning off. 24-pin ATX connector, which plugs into the power supply itself. A 20-pin works too. 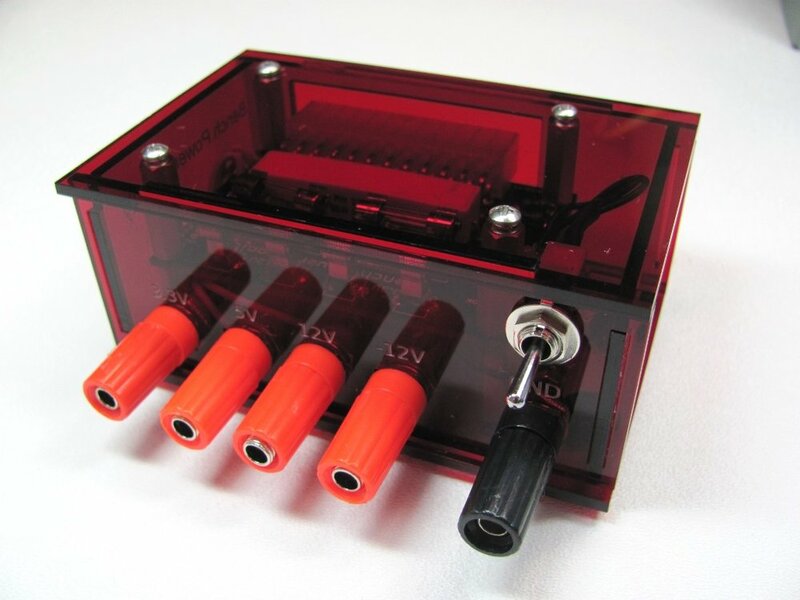 Enclosure made from laser-cut acrylic. All components are RoHS compliant!